As an easy way to think through an upgrade (major build revision) for Windows 10, let’s discuss the install process as two key segments: the “online” phase and the “offline” phase. While your PC is in the “online” phase, you can still use it! Any process during this phase shouldn’t impact the usability of your machine. The “offline” phase is when the computer shows the full update screen and % indicators and you are prevented from using it for other activities (see the images below for online vs. offline phase comparison). 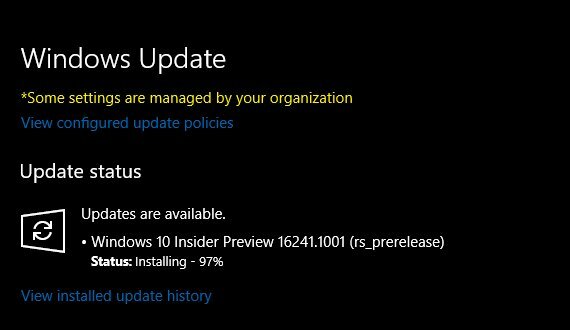 It’s important to highlight the experience Insiders are now seeing for the update process. We’ve heard this feedback, and it’s true. By moving the old offline portions of the upgrade process to the online phase, upgrades will appear to take longer if you’re watching or timing the progress. We didn’t want to sacrifice usability for offline time so the upgrade processes are run at a lower priority to provide for best performance. The feedback on these changes from Windows Insiders highlights one of the key differences between Windows Insiders and many Windows users. When we release a new build to Insiders, there’s a rapid influx of users checking for upgrades because they want the latest and greatest right now. We love Windows Insiders for this! On the other hand, upgrades are a standard process for other users and they don’t always actively seek upgrades. The different behaviors drive different perceptions for each type of user. After you click to download a build, use your machine! It’s important for us to get feedback and telemetry on system usability with the changes we’ve made. We know the online phase of the upgrade will take longer, this is expected change, but you should still be able to use your PC without the background update process taxing your system resources too heavily. If your system seems to “stick” while initializing the upgrade (as seen on the Settings screen), please be patient. This is most likely to happen during the WIM laydown process. 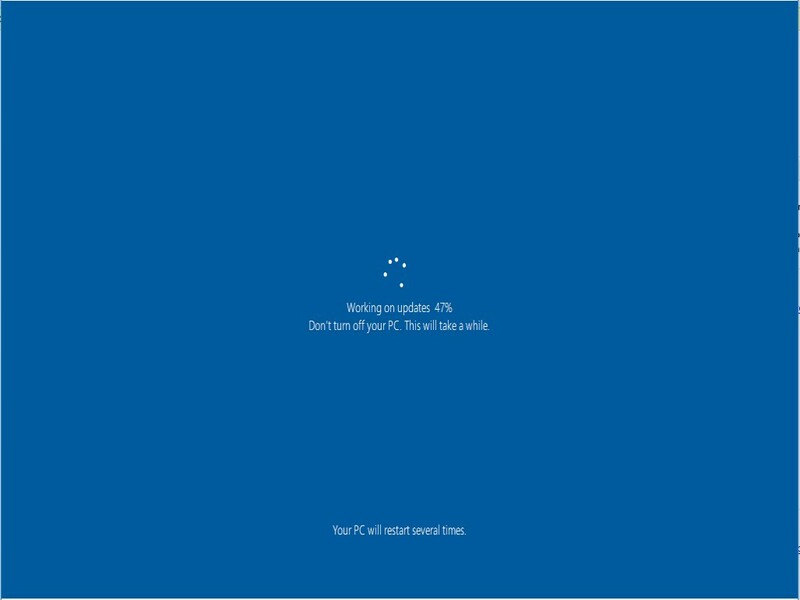 Please do not reboot your PC and allow the process to complete. If you experience any deployment or upgrade failures, please do file feedback so we can review. A great deal of carefully coordinated work has gone into these changes. We want to make sure this process succeeds for the hundreds of millions of Windows users around the globe! There you have it! We’re actively listening to your feedback and want you to share feedback on your experience with the revised upgrade process. If you have any suggestions or hit any bugs along the way, we would love to hear it. And as a reminder, if you encounter any upgrade or install issues along the way, check out this page for details on the error codes and how to parse them to begin troubleshooting. Thank you as always for being Windows Insiders! Until next time!